The Steer wearable device comprising 16 sensors is one device that can definitely enhance the safety of drivers on the road. At least 25 per cent of all accidents occur due to drivers falling asleep at the wheel and this is a danger that every motorist worries about, especially on long road trips and drives during the night. While coffee might help, it is not foolproof and is not always readily available. 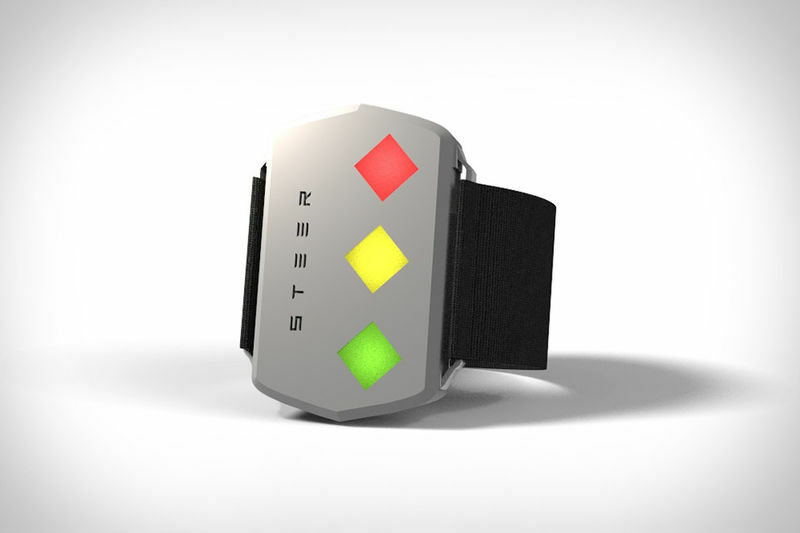 Steer is an ingenious device that will ensure that you will never fall asleep while driving by first warning you with a vibration and a yellow light and then giving you a tiny electric shock. According to its creators, this gentle shock raises your body’s serotonin, noradrenaline and cortisol levels, while reducing melatonin levels. Being shocked awake is definitely preferable to being involved in an accident. When it is strapped on like a watch, the device first monitors parameters like your skin conductance and heart rate to detect your normal levels and then measures them every two seconds to detect if you are drowsy. When they drop below acceptable limits, the device vibrates and flashes a yellow night. If your heart rate continues to drop, it uses an electric shock to shock you awake. Now, that is one shock that every motorist will welcome. Every charge of the device’s battery lasts for two weeks.